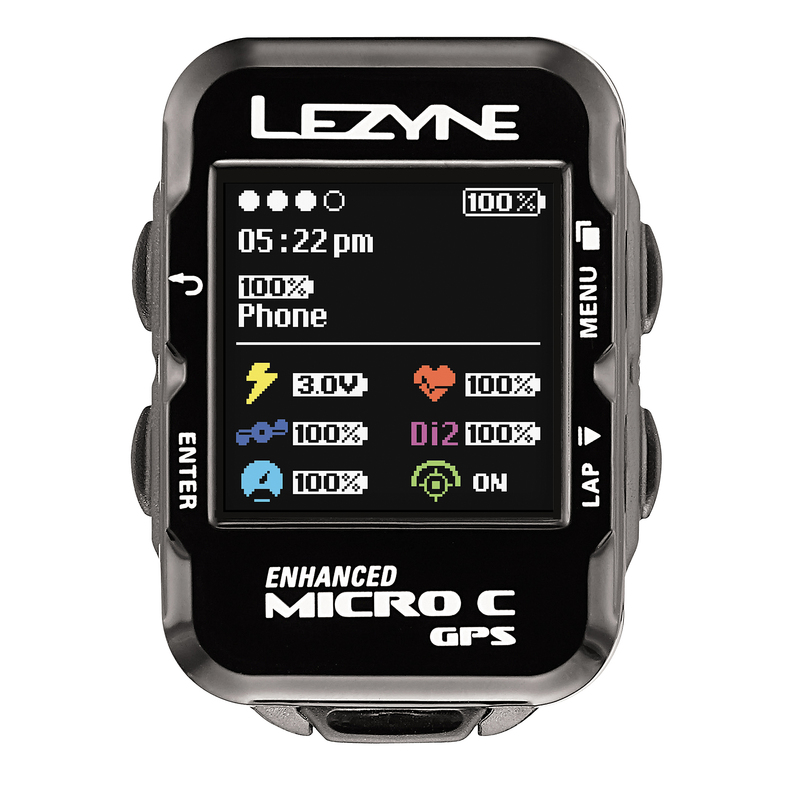 Make your workout more colorful with the Micro C GPS Cycling computer from Lezyne. With its vibrant color screen, enjoy an enhanced user experience and an improbable amount of advanced features. This particular bundle comes with a heart rate sensor in addition to the watch. Utilizing ANT+ and Bluetooth connectivity, the device offeres turn-by-turn navigator, Strava Live Segments and phone notifications (incoming calls, text messages and emails) when synced with the free Lezyne Ally app. To fortify the experience further, the Micro C GPS can concurrently pair with Ant+ or Bluetooth enabled power meters, heart rate monitors and speed/cadence sensors for additional data. Thanks to the GPS and Glonass satellite data combined with the device’s barometer and accelerometer, you’ll get the most up-to-date and accurate data tracking system with the Micro C. At a feathery 29 grams, and a battery that can last up to 14 hours, you get to enjoy a feature-packed GPS computer in a compact design. Choose from three different bundles: Micro Color GPS Computer, Micro Color GPS Computer with Heart Rate, Micro Color GPS with Heart Rate & Cadence Speed Sensor.